By unleashing a ‘punitive operation’ in eastern Ukraine, Kiev has destroyed the last vestige of hope for implementing the Geneva agreement on de-escalating the Ukrainian crisis, Vladimir Putin’s spokesman Dmitry Peskov said. "While Russia is making efforts to de-escalate and resolve the conflict, the Kiev regime has chosen military aviation strikes on peaceful residential areas and started a punitive operation, literally destroying the last hope for the viability of the Geneva accords,” Dmitry Peskov said. 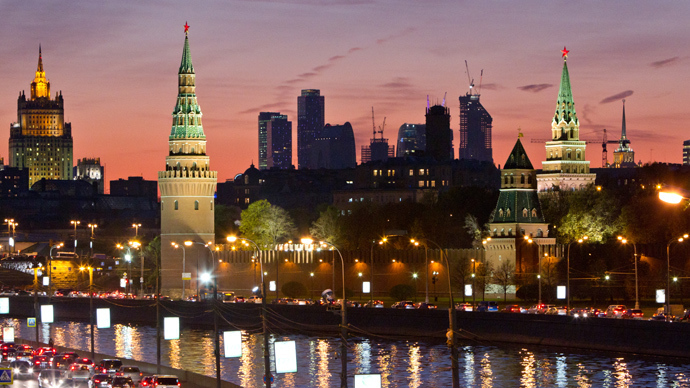 “Unfortunately, the latest developments prove the assessment was right,” Peskov said. Later, speaking on Rossiya-24 TV, Putin’s spokesman said Moscow was waiting for Western countries to react to the military operation in Slavyansk. Russia’s Foreign Ministry demanded Ukraine “to immediately end the punitive operation and any violence against its own people, to release political prisoners and to ensure journalists can carry out their work freely.” The Ministry’s statement, released on Friday, also urges foreign countries to refrain from interfering in events in Ukraine. Putin’s special representative, Vladimir Lukin, was earlier sent to eastern Ukraine to help conduct negotiations on the release of the foreign observers held hostage by anti-government protesters. “Following the start of the punitive operation, the Russian side has lost all contact with Lukin,” Putin’s spokesman said. RIA Novosti later managed to get through to Lukin’s assistant Natalia Mirze, who reassured that everything was fine with the special representative. "We, of course, demand measures to be taken for ensuring their security,” Peskov added. Online media outlet, Donbass News, has announced that contact was lost with SkyNews and CBS crew, working in eastern Ukraine. The news website has given the names of the currently missing journalists: Clarissa Ward, Erin Lyall, Andy Srevenson and Geoff Mabberley. Also on Friday, there was news of contact being lost with a Buzzfeed journalist, Mike Giglio and his interpreter. One of the messages from Giglio read, “We were captured at the checkpoint.” Later, Donbass News reported that Giglio and his interpreter were freed. 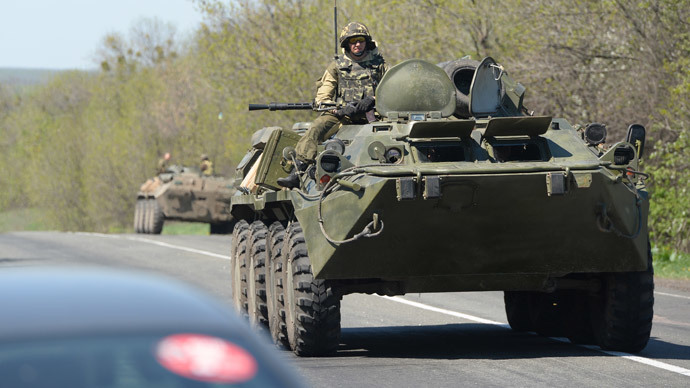 The Ukrainian army began a special operation against anti-government activists in the eastern town of Slavyansk on Friday morning. 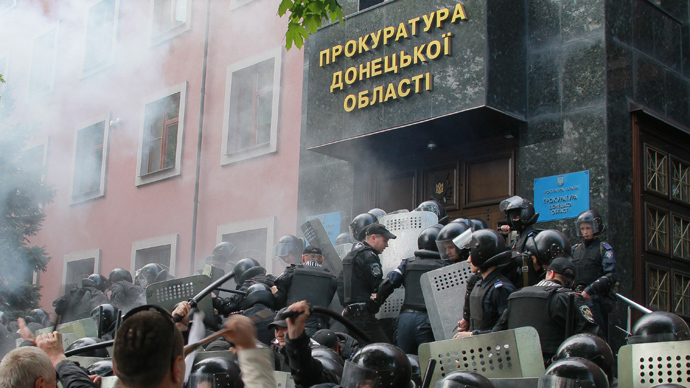 The city was blockaded by the Ukrainian military, with 20 helicopters reportedly deployed to crack down on self-defense forces. The military operation has resulted in three casualties. Two Ukrainian pilots died, after their helicopters were shot down, according to the Defense Ministry. 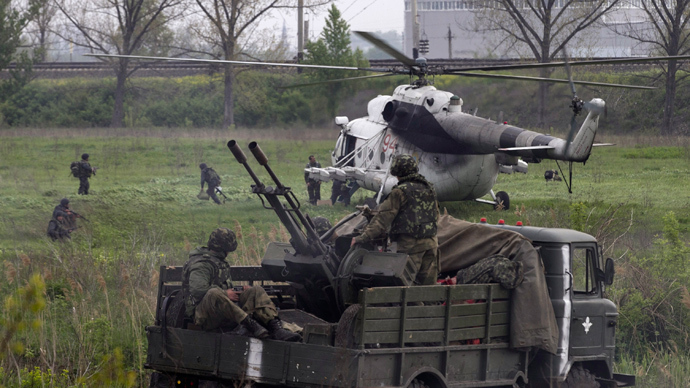 The self-defense forces in Slavyansk say one of their members has been killed.